The school removed references to homosexuals from a section on the Nazi belief in the superiority of the Aryan race. Words and photos were redacted in a book called "Understanding the Modern World"
London: A state-funded Orthodox Jewish girls school in north London has admitted to censoring sections of textbooks to remove mentions of homosexuals and examples of women socialising with men, to protect girls from sexualisation, the media reported. 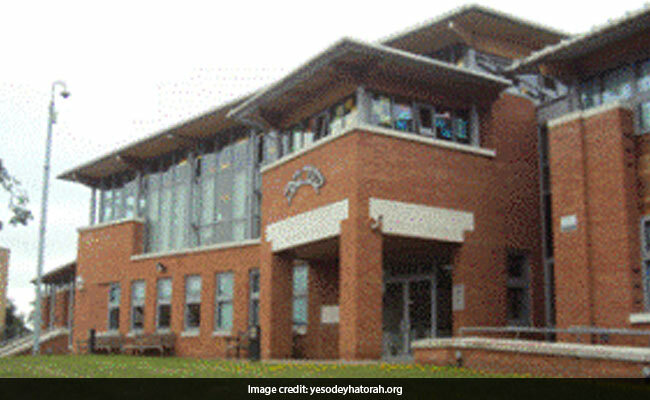 Yesodey Hatorah Senior Girls' school in Stamford Hill, which serves the strictly Orthodox Haredi community, covered text and images including Hollywood actor Fred Astaire dancing with actress Ginger Rogers, reports the Guardian. Words and photos were redacted in a book called "Understanding the Modern World". The school removed references to homosexuals from a section on the Nazi belief in the superiority of the Aryan race. Elsewhere, a number of images of women were censored to hide their chests, shoulders and arms, and legs above the knee. In a section on the position of women in modern American society, references to women smoking, drinking and driving with men were redacted, as was the sentence: "They kissed in public." A spokesman for Yesodey Hatorah said it was "old news" and it was well known that the school redacted textbooks, the Guardian reported. "This policy has nothing to do homophobia or misogyny, but is to protect our girls from sexualisation in line with our parents' wishes and religious beliefs," he said. Similar complaints were made against Yesodey Hatorah in 2013, when the exam board OCR found 52 papers in two science exams had questions on evolution obscured, meaning they could not be answered.